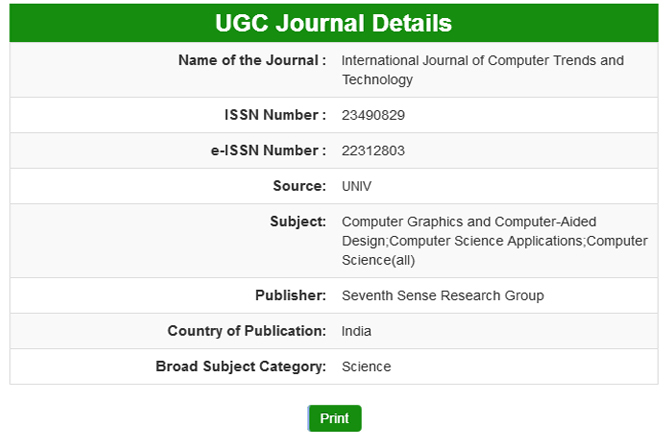 International Journal of Computer Trends and Technology - IJCTT is member of the CrossRef. The DOI prefix allotted for IJCTT is 10.14445/2231-2803. IJCTT becomes a member of CrossRef, which is a not-for-profit membership association whose mission is to enable easy identification and use of trustworthy electronic content by promoting the cooperative development and application of a sustainable infrastructure.